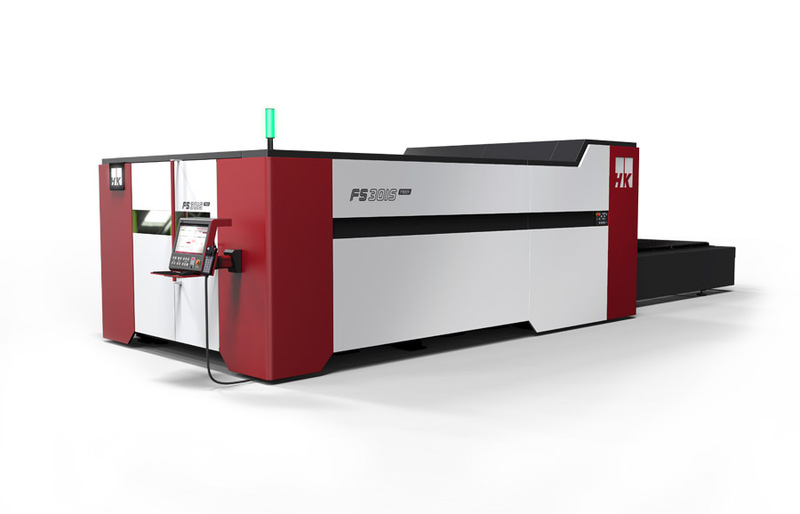 The 4-kW fiber laser from HK Laser is a cost-effective, space-saving machine that features variable beam size for cutting a wide range of material thickness, including thick steel plate. With the inclusion of the Corona fiber laser generator, users can tune the beam settings based on their application – from high-intensity, small-spot-size beams to large, donut-shaped beams and everything in between, the Corona allows for thick and thin metal cutting, higher cutting speeds, superior quality, and improved piercing and small-feature processing. Optimized tuning of beam size and shape delivers utmost performance, stability, efficiency and reliability with spot sizes from 100 um to 300 um and beam shapes from top-hat to donut mode. Rapid beam switching means that users can quickly adjust the beam to achieve real-time optimization of each process step while maintaining full power operation to maximize productivity. Back-reflection protection allows users to process reflective metals with no interruptions or damage to the laser. Breakthrough integrated beam shaping means there is no need for free-space optics, zoom process heads and external fiber-to-fiber couplers. A modular design and the lack of complex hardware simplifies maintenance and repairs, maximizing uptime for users. A 21.5-in. wide touchscreen control is modern in design and easy to use.